Keeping to a select pallet with a maximum of three key colours will bring the scheme together and not over-complicate things. Doing this will create a feeling of harmony and consistency. Try thinking about the colours as blocks rather than independent elements, placing blocks of colour next to each other will draw the eye and open up a room. You don’t have to stick to single colours either, try introducing a texture e.g. wood grain or marble, this will add interest and tactile elements. As well as the kitchen furniture, it is vital to think about the flooring, ensuring a complimentary, yet neutral covering will enhance the kitchen and furniture within the room. A hand-less design will keep the aesthetic as linear and sleek as possible. While using this style, it’s important to focus on the detail ensuring the grooves and lines follow and flow around the room. The geometry and repetition will accentuate the feeling of space. Unlike handles, choosing a handle-less option is less likely to date, maximising the longevity of the kitchen and creating a timeless scheme. This is the best way to keep the look cohesive, with everything aligned and hidden as much as possible. It will reduce the clash of colours and finishes that you’d normally get with the bulky, free-standing items. 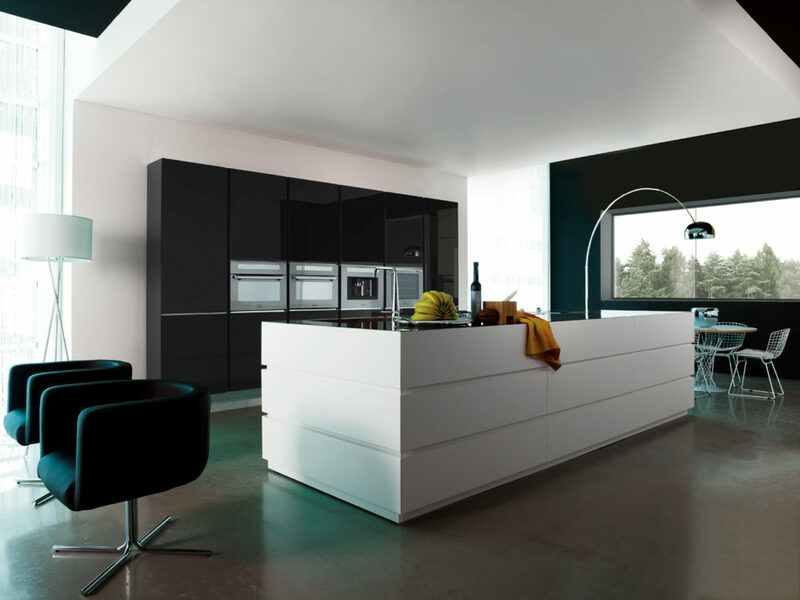 There is now such variety of built in appliances, you can achieve high functionality with minimal aesthetic. The options are endless, from quiet dishwashers to built in freezers with ice and water. Creating an open and spacious feel is optimal for a contemporary design. Sometimes there is temptation to fill every available space with units, but less is more. Consider leaving some walls empty or reducing the size of certain wall units, it will keep the design sleek and minimal, implementing a sophisticated and modern feel. If your space lends itself to an island, this is also a great way to create a practical yet social environment. It will ensure flow, free movement and stand as a focal point to the room. 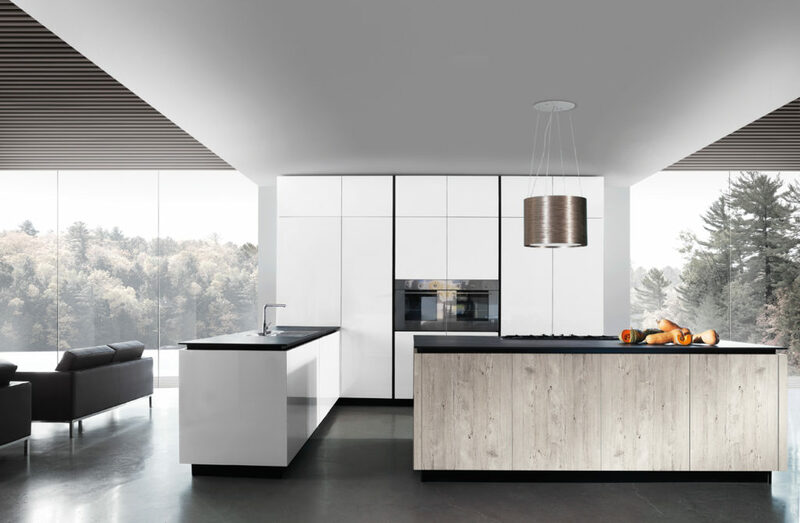 Achieving a clutter free appearance is a definite way to keep the kitchen looking contemporary. By maximising the storage, it’s easier to keep things hidden away, off the worktop and out of site. It is important to consider the best types of storage for your needs, ensuring you have a place for everything. Drawers are ideal for crockery, cutlery, pots, pans and even large mixers. Pull out larders work well for tins, bottles and jars, while cupboards are best for cookery books and taller items.